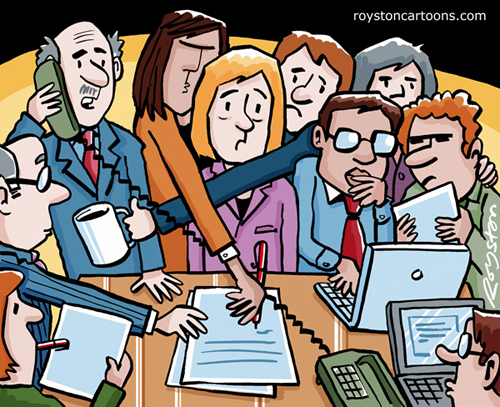 This cartoon accompanied a magazine article on hot-desking. Rather than making a joke, as such, it's an example of the cartoon as humorous illustration. I do a lot of work for trade/business magazines. 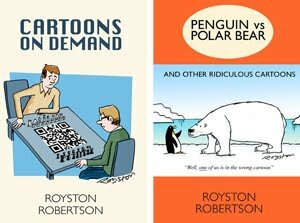 Find out here how you can commission bespoke cartoons.